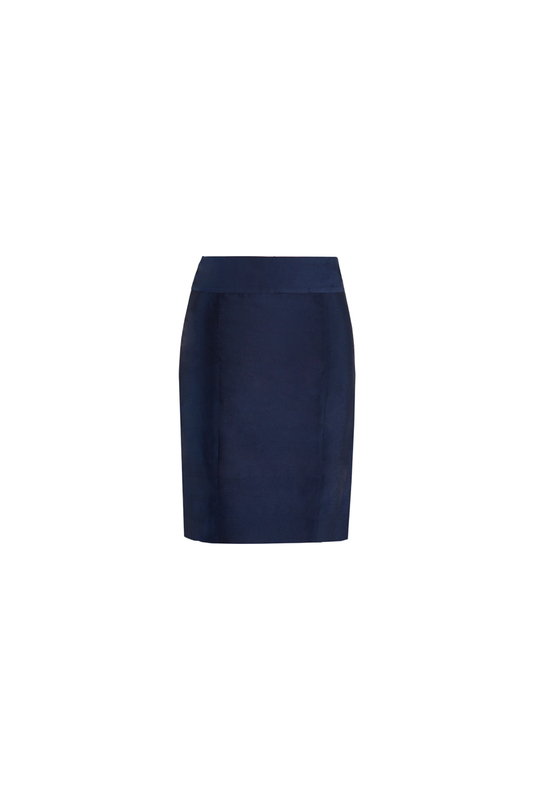 Jasmine skirt is an eye-catching knee length skirt. 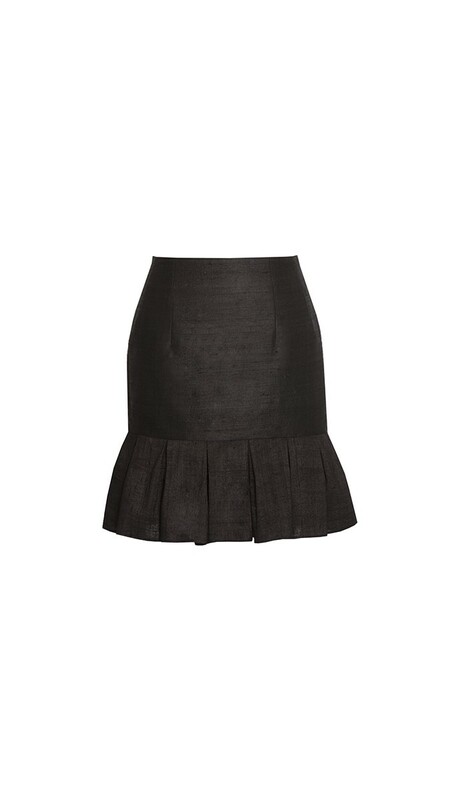 Style is fitted at hips with attractive double box pleats at hem. 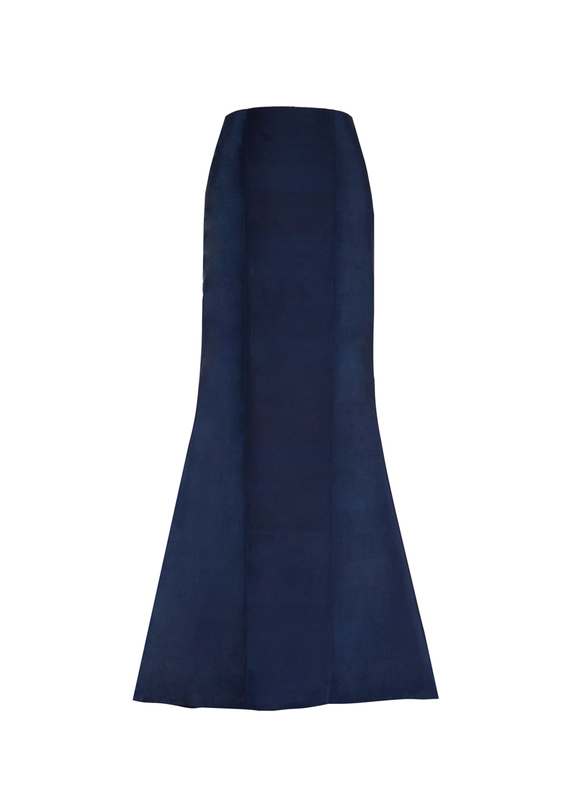 Made from hand woven silk fabric. Fully lined, concealed zip at back. Match it your way and wear it to all occasions.